Last week, we traveled to Arnaudville, searching for the cottages being renovated for use by artists and writers, who can apply and receive grants to complete their work in a bayou habitat, and found seven vari-colored cabins still under reconstruction hugging the Bayou Teche. 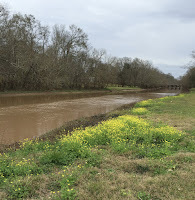 When we turned to pass back along the street for another glimpse of the residences, we spied a beautiful, spreading sea of Ranunculus (buttercups) lining the bayou and stopped to photograph the bright yellow flowers. Ranunculus means “little frog” because the flowers inhabit the same waters as the frogs that are so abundant in south Louisiana. 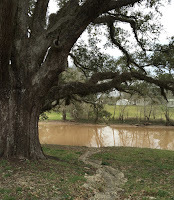 We were following Bayou Teche, the stream that Harnett Kane called “the most richly storied of the interior waters,” which snakes through 125 miles of south Louisiana. As it was once highly navigable, communities like Arnaudville sprang up along its banks. Four in ten people in this small community of less than 2000 speak Cajun French, and if you listen closely, you can hear the uncorrupted dialect of the Acadians who settled south Louisiana. The eight-mile stretch from Arnaudville to Leonville is known as the “Teche’s River Road” and is a journey into the heart of Acadiana. Arnaudville is the home of Bayou Teche Brewing, a company that makes a brew called “LA-31 Boucanee” made with cherry wood smoked wheat and is also the site of NuNu Arts and Culture Collective where artists from throughout Louisiana gather to showcase their art. In Arnaudville, we often have lunch or dinner at “The Little Big Cup,” a restaurant that serves some of the best cuisine in south Louisiana and features a “groaning board” on Saturdays and Sundays. 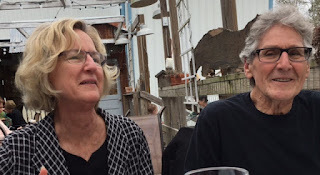 We had been introduced to the town through Darrell and Karen Bourque. Darrell, a former poet laureate of Louisiana, once came up the bayou on a barge and climbed the steps leading to the deck of The Little Big Cup to deliver a reading from his book about the Cajun settlement of Louisiana entitled Megan’s Guitar. Poetry readings are not uncommon at this site. to live where he lived. Here is one leap; another here is another leap. 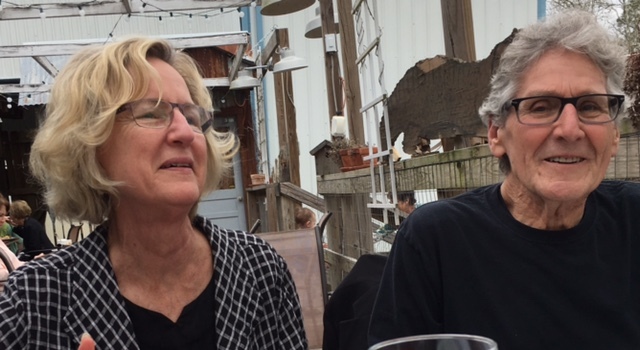 “Almost twenty years ago, I was director of Solomon House, an outreach mission at the Episcopal Church of the Epiphany in New Iberia, Louisiana, and a woman came to me on a day we didn’t usually give out money for emergency assistance. She had visited us often, many times going into the sheds behind Solomon House that held clothing for rummage sales…to get clothes for her sick husband she always said. The woman made the request so many times and carted away such quantities of clothing that I thought her husband was either the best-dressed man in a small community down the road from New Iberia, or she was collecting clothes for her own backyard sales. In my arrogance, I presumed to know what her real needs were. The morning she came to me, I began, rather impatiently, to explain why I couldn’t help her. When I finally shut up, having used up all the reasons, justifications, and explanations I could summon to mind for not helping her, she just looked at me and asked if she could come into my office. I said “yes,” but I was suspicious. The woman held a small cardboard box with a lid on it that she brought into the office with her. “I don’t want money or clothing,” she said. “I just want you to help me with some closure about my husband. 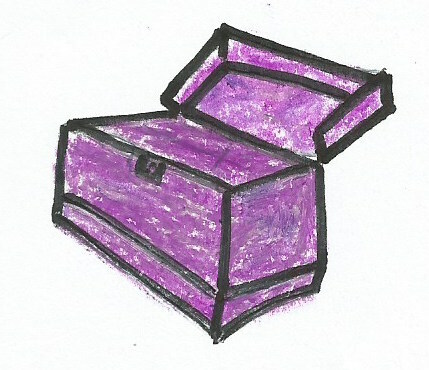 These are his ashes.” She pointed to the box she had plunked down on my desk. “And you’re a good person, so please bless them.” She began to lift the lid, but I motioned for her to leave it on. As minister of an outreach mission, I had to be prepared for most anything, but this request was a first. I can’t tell you how small I felt. Most Episcopalians say that when all else fails, consult the Book of Common Prayer, so I picked up the BCP lying on my desk, flipped the pages until I found the Committal in the burial service and read it aloud, then embraced the woman, who was, by now, crying softly. As I ushered her out, a friend who had accompanied her said: “She has been riding around since daybreak waiting for you to open Solomon House to do that blessing.” The women got into a car and sped off, sans clothing, sans emergency assistance, leaving me with my presumptuousness and my former judgments about who the woman with the ashes really was. And she, of course, had been the face of Christ. That’s not the complete sermon, but it’s a starter for going into the desert of Lent, to enter this time of self-emptying. As the Scot preacher George MacDonald once said: the love of our neighbor is the only door out of the dungeon of Self — nothing else added, nothing else needed. In the mail this week, a gift arrived from good friend, Dr. Mary Ann Wilson: the second volume of Louisiana Women, a book that records the contributions of outstanding Louisiana women from the eighteenth century to the present. Essays by southern scholars include the history of women who struggled to not only sustain their sense of self-worth but to “follow their bliss” in art, politics, and cultural pursuits. 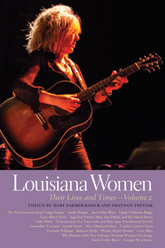 Edited by Mary Farmer Kaiser and Shannon Frystak, the volume covers four major aspects of Louisiana women’s history that have affected the cultural, social, and political progress of the bayou state: Women and the Politics of Identity; Women and Work; Women and the Arts; and Organizing Women. Louisiana Women is one of those bedside table books that provides a look into rich histories that have often been overlooked or hidden, such as the profiles of Lulu White, infamous Storyville madam, and voodooienne Marie Laveau, as well as well-researched essays about famous female artists, writers, musicians, and supporters of the arts. In the essay entitled “The Evolution of a Plantation Mistress and Chatelaine of the Arts,” the authors credit Cammie Henry with the revival of native crafts, for hosting writers, artists, and photographers through the Natchitoches Art Colony and for preserving the history and heritage of the Cane River and the Isle Brevelle Creoles of color. Among the notables who sometimes lived and worked at Melrose: William Spratling, a Tulane University professor of architecture; artists Alberta Kinsey and playwright Natalie Scott; Lyle Saxon, an author Henry described as “magnificent and knit into my soul;” authors Sherwood Anderson, Harnett Kane, and Francoise Mignon…the list of luminaries who visited or lived at Melrose at various times is formidable. Lucinda Williams, the colorful Lake Charles Louisiana musician; Lindy Boggs, congresswoman and majority leader of the House; Cora Allen, member of the Calanthe Temple Commission; Sarah Towles Reed, labor union lobbyist, and educational reformer…the stories in Louisiana Women reveal the perspectives of eighteen scholars who have documented the activities of women who exemplified the courage and faith to pursue seemingly impossible projects and contributed to the history and culture of Louisiana. I wish that I could highlight all the essays but perhaps this is a small titillation to read the profound stories in this volume featured in a series about Southern Women: Their Lives and Times, which includes many of the southern states, published by the University of Georgia Press. When a writer/poet commissions Karen Bourque to illustrate the theme of a book by creating a new glasswork, Karen responds by bringing all of her intuitive gifts to the project, and the resulting cover for the book is a masterpiece. I know because she has rendered glasswork pieces that I’ve photographed for the covers of four of my books of poetry. Karen, who works in a studio behind her home in Church Point, Louisiana, not only creates the glass piece, she always writes an accompanying text that explains the symbolism of the stones and other objects contained within the artwork. 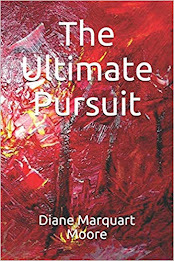 I’ve begun to include a Note By the Artist in the books for which she creates covers, and I feel they enhance the themes represented in the poetry. 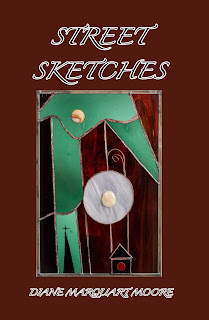 Street Sketches is available on amazon.com or can be ordered by writing to Border Press at borderpress@gmail.com or P.O. Box 3124, Sewanee, TN 37375.